Burden-sharing and NATO’s role in counterterrorism have been at the forefront of discussions about the Alliance in recent months, but as NATO’s relations with Russia continue to trend downward, the issue of Sweden and Finland’s potential membership in the Alliance is likely to gain renewed salience. There are good reasons why both countries may eventually join the Alliance, but under current circumstances the best way forward is still for both countries to continue to draw closer to NATO. Linking their potential accession to the Alliance to Russia’s behavior offers NATO some leverage over Moscow. Additionally, NATO membership is not something that can be achieved overnight and the Alliance needs to be sure that if the pair joins the Alliance, the military requirements for their defense are fully understood and met beforehand. The Baltic Sea region has received renewed attention in U.S. policy circles due to the deterioration in relations with Russia and broader concerns about the vulnerability of Estonia, Latvia, and Lithuania to Russian aggression. The proximity of these countries to Russian forces in the Western Military District, combined with Russian deployments of advanced weapons systems to Kaliningrad oblast would make it difficult for the United States and NATO to defeat a committed Russian attack on the Baltic Allies without a sustained counteroffensive that could take months or even years. Luckily, changes in U.S. and NATO posture in the region, especially the deployments coming as part of NATO’s enhanced forward presence (EFP) and U.S. rotational forces, are significantly strengthening regional collective defense by creating tripwires and raising the risks to Russia of any potential adventurism. As the situation evolves, however, there are additional measures that the United States may wish to contemplate when it comes to the region, including further training and exercises, measures to improve situational awareness in the North Sea and along the Greenland, Iceland, and U.K. (GIUK) gap, the development of new weapons systems in areas where U.S. and NATO forces are currently outmatched by Russia, new foreign military sales that would strengthen deterrence, and further changes in posture. In this context, the issue of potential Swedish and Finnish membership in the Alliance looms large. Sweden and Finland are already very important NATO partners; both countries are already enhanced opportunity partners (EOP), participate in the NATO response force (NRF), and exercise with the Alliance on a regular basis. From a U.S. perspective, they have much to offer as strategic partners and military allies in general; as free-market democracies, both countries share the core political values on which NATO has been founded for 70 years. They also have advanced industrial economies with high-tech expertise and capabilities that have military significance in areas such as airpower, cyber, and civilian space. They are well-integrated members of the European Union, an important fact in an era when the EU and NATO need to draw closer together to strengthen cooperation against terrorism and other threats. Furthermore, other Nordic countries — specifically Norway, Denmark, and Iceland — are already NATO members. Finally, and perhaps most importantly from the perspective of the U.S. military, Sweden might serve an important role for basing aircraft in the event of a military crisis in the Baltic Sea region when the United States would need basing outside Russia’s Anti-AccessArea Denial (A2AD) bubble that extends from Kaliningrad and Western Russia over the Eastern Baltic Sea. Sea lanes of communication via the Danish straits might also be important for certain types of operations deeper into the Baltic Sea. 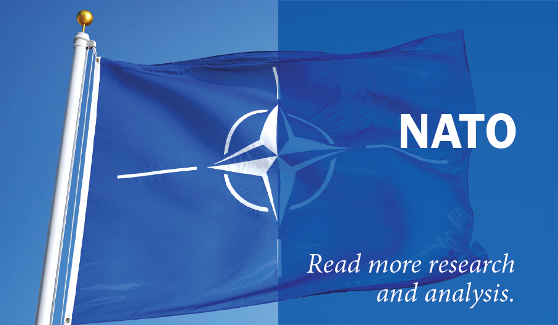 First, membership in NATO is not something that can be achieved overnight. Finland and Sweden would have to undergo a potentially lengthy process of accession, during which the incentives for Russia to attack them would intensify. It would be preferable to ensure that they were well defended against any such attack prior to bringing them into the Alliance. Second, and relatedly, from a strictly military perspective, bringing Finland into NATO is very different proposition militarily than bringing in a country such as Montenegro, which has no borders with Russia. The challenges involved in defending Finland’s 1,340 km eastern border should not be taken lightly. A credible defense of the Finnish border would likely require significant changes in posture beyond those already contemplated by the Alliance to strengthen deterrence in the Baltic states. Even if such changes were forthcoming, they would take time to implement, further exacerbating the risks from the time lag between proposed accession and Article 5 membership. Third, adding any additional member comes at the cost of increasing complexity in an organization that is already struggling to achieve consensus on several important issues. Although this may be a lesser order problem and should not in itself prevent new members from joining the Alliance, it is nevertheless a reality that ought to be weighed in the balance. Russia clearly benefits from lack of unity within NATO and anything that could further decrease unity should be given close examination. Fourth, when it comes to deterring Russia from further aggression in the region, there may also be some benefit to leaving Swedish and Finnish NATO accession on the table, especially if it can be made clear to Moscow that further aggression will ultimately push the pair into the Alliance. In other words, linking Sweden and Finland’s disposition toward membership in the Alliance to the Kremlin’s future policies may offer the opportunity for some leverage over the Kremlin. In light of this, the best policy for the time being is to continue to strengthen the political and especially military ties between these countries and NATO. There are several ways to do this: enhanced training and exercises; intensified staff exchanges; deeper cooperation on hybrid war and competition short of conflict, building on the Finnish Center for Excellence; encouraging continued deepening of sub-regional defense cooperation, for example through NORDEFCO (Nordic Defence Cooperation); pressing them for greater contributions to training, policing, and civilian reconstruction in countries where NATO has needs such as Libya and Iraq; involving them deeply in future NATO pooling and sharing programs, for example on tankers; considering missile defense cooperation; examining mechanisms for rapid membership in the event of a crisis. It is important to recognize that even if Sweden and Finland are outside of NATO, the United States and other NATO members might still come to their assistance in the event they were attacked. The pressure to do so would be less, of course, than if they were Article 5 members of the Alliance, but for strategic reasons pressure would exist none the less. By demonstrating their importance to the United States and their European partners, Sweden and Finland can further increase this dynamic, increasing the chances that NATO Allies would come to their aid in the event of a Baltic crisis. In this case, neither country would go so far as to have Article 5 membership in NATO, but the guarantee could become implicit in the reality of the deepening cooperation. This, in turn, would enhance deterrence. Circumstances can of course change and eventually both countries may well become members of the Alliance. The current situation, however, in which they are gradually deepening ties in response to the threat they feel from the trajectory on which President Putin has put Russian foreign policy, is optimal. History has shown that it is crucial to bear both political and military factors in mind in considering accession to the Alliance. In the case of this pair, military ties should run ahead of formal political ties. This will avoid a situation in which NATO’s political commitments create military vulnerabilities. The German Marshall Fund of the United States (GMF) and The Foundation for Baltic and East European Studies hosted an event in Stockholm, Sweden May 16–17, 2017. This was the second edition of a long-term project that serves as a platform for high-level European and American security experts, strategic thinkers, senior policymakers, and other representatives to convene in the series of workshops in Warsaw, Stockholm, Helsinki, and Tallinn to explore the most challenging priorities of the Baltic Sea Region in the years to come. This paper was written based on the content of these workshops. David A. Shlapak and Michael Johnson, Reinforcing Deterrence on NATO’s Eastern Flank: Wargaming the Defense of the Baltics, Santa Monica, CA: RAND Corporation, 2016. For details see U.S. Army Europe, “U.S. Army Europe to Increase Presence Across Eastern Europe,” November 4, 2016. For example see Anna Weislander, “Can They Get Any Closer? The Case for Deepening the Partnerships between Sweden and Finland,” The Atlantic Council, October 12, 2016. Edward Lucas, “Why NATO Needs Sweden and Finland,” Europe’s Edge May 3, 2016. For more details, see Christopher S. Chivvis, et al., NATO’s Eastern Flank: Emerging Opportunities for Engagement, Santa Monica, CA: RAND Corp., 2017.